"I want to focus on white ball cricket." The year 2018 hasn’t been overly overwhelming for Pakistan batsman Mohammad Hafeez. Back in August, he was demoted to Grade ‘B’ from Category ‘B’ and later he lashed out at the Pakistan Cricket Board (PCB) for the ‘discriminatory treatment’. The experienced campaigner also wasn’t a part of the national team that played the Asia Cup in the United Arab Emirates (UAE). However, he gradually made his way into the team and scored a stupendous century against Australia in the opening Test in Dubai. Even as he has done reasonably in the limited-overs formats, the 38-year-old’s form in Tests has gone into the doldrums ever since the ton. He has scored 74 runs in eight innings. Recently, the Punjab-born cricketer called it quits from the format. In the meantime, Hafeez also put forth the reasons behind his retirement. Many reckon that he’s afraid to face the likes of Dale Steyn and Kagiso Rabada in South African conditions and hence, he hung his boots. Hafeez also cleared the air on the matter. “I did not retire from Test cricket because I was not performing. I retired from Test cricket because of personal reasons. I have achieved many milestones in my career and there were no other milestones left for me to play for. I want to focus on white ball cricket from now on. People think that I am afraid of South Africa’s playing conditions and [Dale] Steyn and [Kagiso] Rabada. I have to face these bowlers in one-day cricket also. I will answer these statements with my performance,” Hafeez was quoted as saying in Geo News. The veteran has also been appointed as the new skipper of Lahore Qalandars, replacing Brendon McCullum, who has left the franchise. 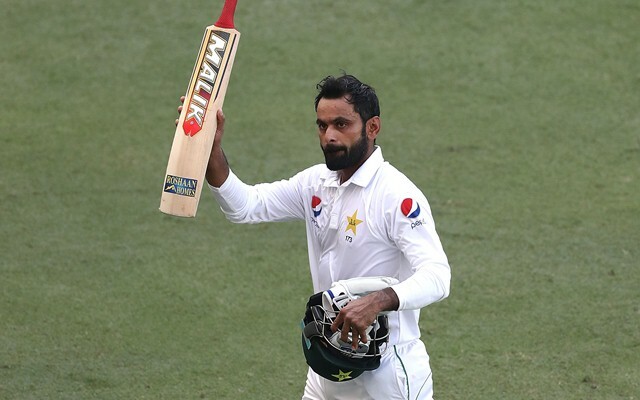 The team finished as the cellar dweller in the previous three seasons and Hafeez sounded confident on their campaign next season. He also lauded AB de Villiers, who was picked by the franchise, as a ‘world-class’ player. “Qalandars have entrusted me with a huge responsibility. I will do my best with the help of the players and management. Qalandars have done great work with the players’ development programme. Our [Lahore Qalandars] aim is now to win matches in PSL. We have a good combination of players, especially AB de Villiers who is a world-class player,” he added.